Local residents will enjoy a mix of cloud and rain during the upcoming Chinese New Year holiday, with temperatures rising for a few days and then dropping under a cold front, forecasters said. According to the Shanghai Meteorological Bureau, Monday to Thursday, the first four days of the seven-day holiday, will be mostly clear and dry despite some showers on Tuesday, the Chinese New Year’s Day. Wednesday there is the chance of some morning fog in some areas. 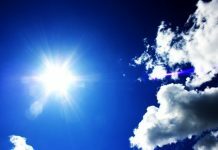 The temperatures during this period will range from 7 to 15 degrees Celsius, and a high of 15 degrees is expected on Wednesday. It will get cool and wet starting Friday due to the influence of cold air, with the mercury falling by 7 to 9 degrees at the weekend. On Friday, the city will receive drizzle at times with the temperature fluctuating between 7 and 11 degrees. The drizzly weather will continue on Saturday with a chance for some sleet. Skies will clear up a little and become partly cloudy on Sunday. 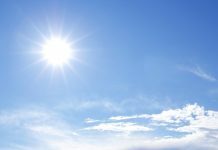 Temperatures on Saturday and Sunday will fluctuate between 2 and 7 degrees. The winds will grow stronger from Thursday to Saturday under the combined impact of marine low pressure and cold air. The air is expected to be mostly clean despite a short-lived spell of light pollution on Wednesday.